Home > Labels,Tags & Nameplates > Industrial Labels > Write and Seal Labels > Battery replacement write and seal labels. 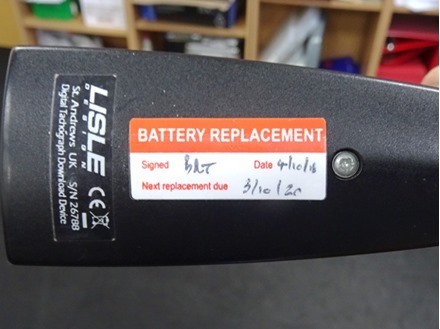 Battery replacement write and seal labels. Checked write and seal labels. Service, function tested write and seal labels. Serviced write and seal labels. 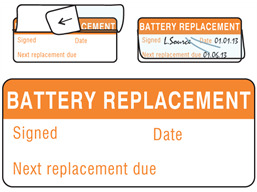 Battery replacement labels. Write and seal, self laminating stickers. Rub test compliant. Material self adhesive vinyl, with part attached clear vinyl laminate. Supplied in rolls of 500 labels. LL10034 Size 16mm x 38mm. Material self adhesive vinyl (print receptive) with part attached clear vinyl laminate.